Account-based marketing (ABM) has been creating B2B marketing buzz over the past 2 years, but regretfully there still seem to be a ton of you who are looking for strategy in how to leverage ABM. A few weeks ago, Jill Rowley, formerly the Chief Growth Officer at Marketo tweeted that “now is the time to replace the M in ABM with E for Engagement” and I couldn’t agree more. But – before we get into the details, lets review the basics. The name gives us a hint. Account-based marketing is also known as key account marketing, it’s a strategic approach to B2B marketing. Instead of casting a wide net with lead-gen efforts, marketers using ABM work closely with sales to identify key prospects and then tailor customized programs and messages to the buying team within target accounts. ABM works because today, the buyer is in control of the sales process. You’ll reach buyers exactly where they are in the sales cycle and that’s why I agree with Jill Rowley in updating the name to ABE, because its truly about engaging those buyers with personalization. Now – lets jump into the benefits of ABM. As Adam mentioned, ABM should be solely focused on your key target accounts. By going thru this exercise, companies automatically start out with high-quality targets to nurture. There is no need to filter through inbound leads. These are prospects you have already researched and identified in conjunction with sales as the top candidates and opportunities for your business. As the buying cycle continues to increase, it requires more touch points than ever before. But, we need to clear it’s not about quantity, it’s the quality that increases engagement and ultimately converts. ABM fosters relationship building. It provides the opportunity to share your unique perspective, expertise, and solutions in a way that meets your top prospects specific needs. In fact, DemandBase found 83% of companies say the main benefit of using ABM is increasing the engagement with their target accounts. Your job is to provide personalized insight and content that ultimately encourages buyers to make a decision about whether or not to invest in your products and services. As marketers we’ve all been here – the ongoing dilemma in the hand-off of marketing leads to sales, where leads that come in are not yet ready to convert, but would be if they received consistent outreach. ABM greatly improves collaboration and efficiently between sales and marketing because both are focused on targeting key accounts. Rather than focusing on raising awareness alone, marketers focus on building engagement and relationships with a particular account, just like sales teams do. This targeted and personalized approach to lead generation and nurturing directly correlates to faster sales conversions. In addition, by focusing on key accounts with high-revenue potential, when you do close a sale, it’s going to be much larger. In fact, FlipMyFunnel found that companies who use ABM generate 208% more revenue for their marketing effort. I think we’ve provided a bunch perspective today on the value of implementing Account Based Engagement. I hope the E sticks, because its truly about ENGAGEMENT with your top prospects. Its not an easy proposition, but if you take the time with sales to get on the “same page” you are well on your way. We’re out of time today, but this won’t be the last you from us on ABM. 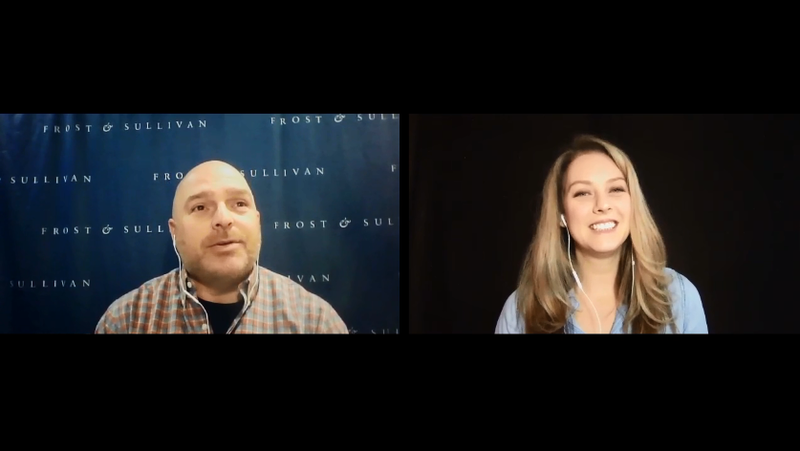 If you’re looking for resources to help you with your targeting, I highly encourage you to contact Frost & Sullivan’s Brand and Demand Solutions Practice, where we provide key account intelligence, backed by our robust research, to help harness the real business potential of your key accounts. And for those of you who have strong relations with your sales leaders, I encourage you to let your sales colleagues know about the our 2nd annual Sales Team Alpine Retreat taking place February 11 -13th in Lake Tahoe, where we’ll be engaged in discussion and education with the goal to build peek performing sales organizations. Until next time, remember to Grow your brand…And Drive Demand!